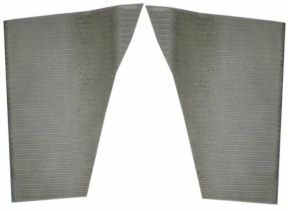 Thigh\knee pads--contoured to provide a better fit. These pads are CNC machined to fit into our kayaks. 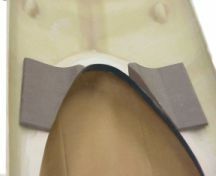 They can be installed as is or with a layer or layers of foam under them for a tighter fit. Use contact cement to install so you can adjust the position to fit yourself perfectly. Sit in the kayak and position the pad to fit. Mark the location. Put one coat of contact cement on both the underside of the deck and the side of the pad that will make contact with the deck, let dry and then put on a second coat. 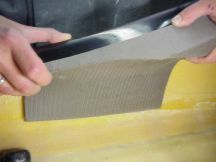 When this coat is dry, press the pad into place to bond it into position. Take care to ensure the the pad is in the exact position when then contact is made as you will not be able to reposition the pad once contact is made.